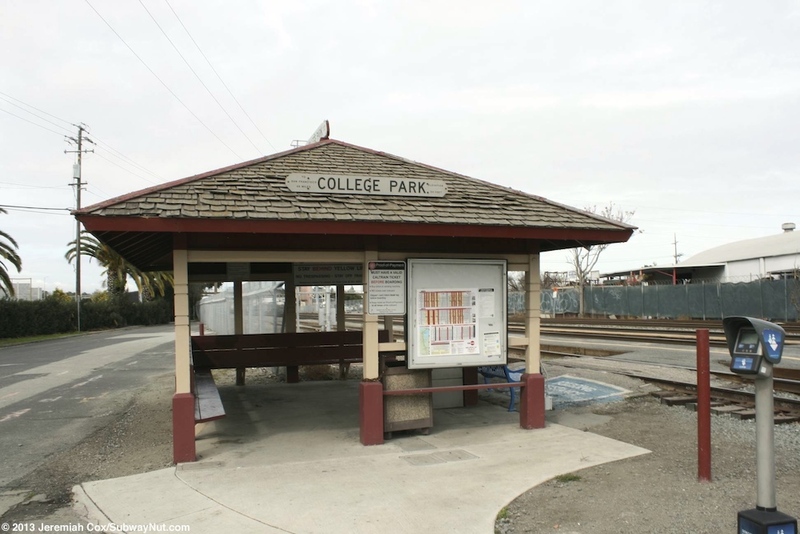 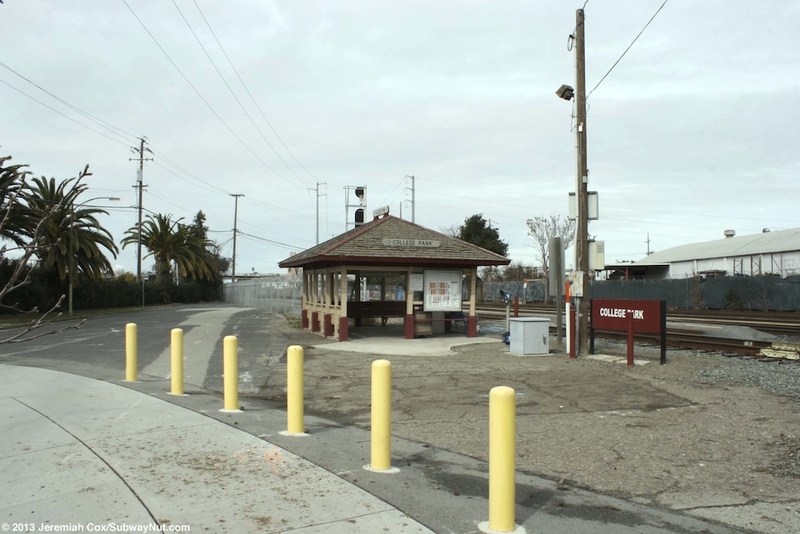 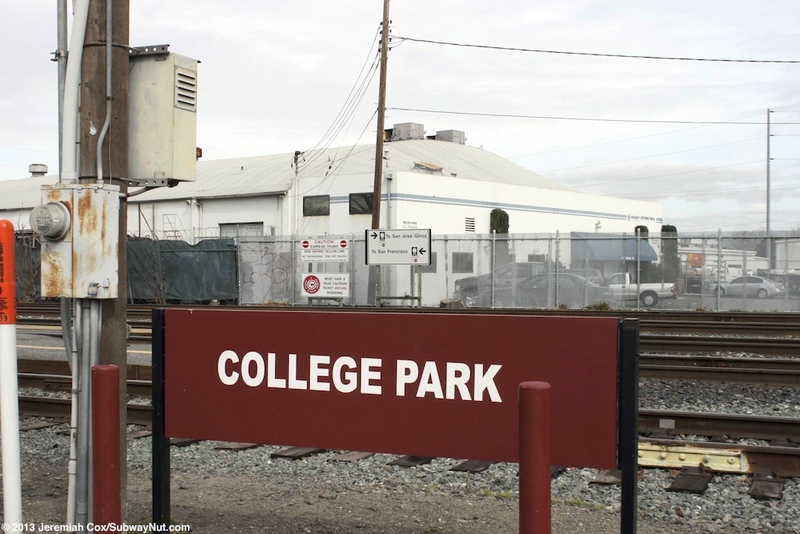 College Park is a station Caltrain has been trying to close for many years and has failed to close bowing to community pressure. 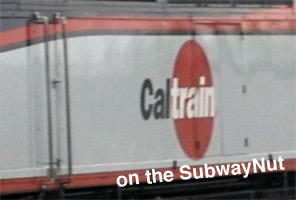 The main users are students commuting to and from Bellarmine College Prep and the schedule of the two trains stopping per day in each direction are geared towards students, with San Francisco-bound trains stopping (as of the October 2012 timetable) at 7:58am (coming from Gilroy) and 3:08pm (the last local train before the PM rush), and southbound service at 7:59am and 4:32pm (the first train of the PM rush, running to Gilroy). 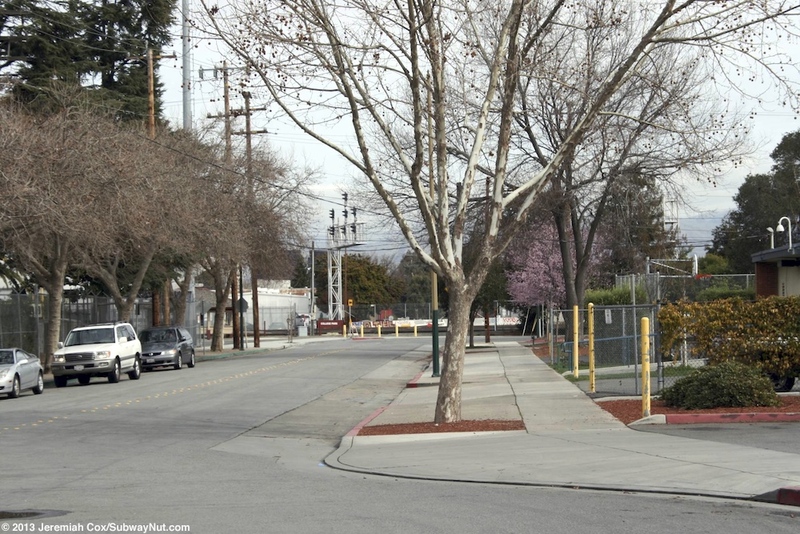 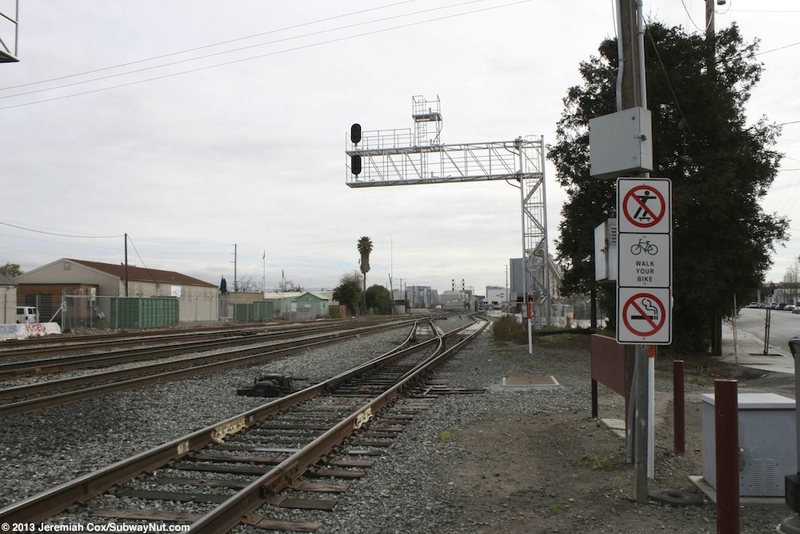 The stop and platforms were originally just south of the Stockton Avenue grade crossing, but this street was split in two with the closure of this grade crossing for safety reasons in 2005. 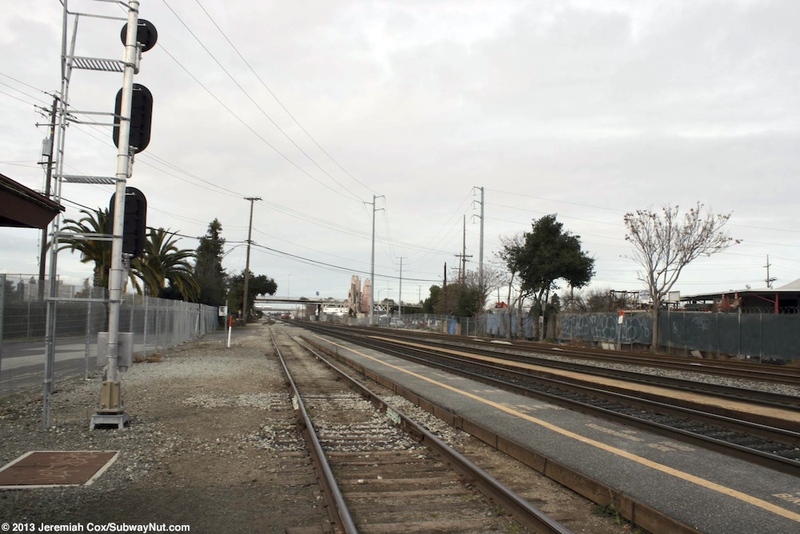 The Prep School is along this side of the tracks so the closure isn't an issue for these users. 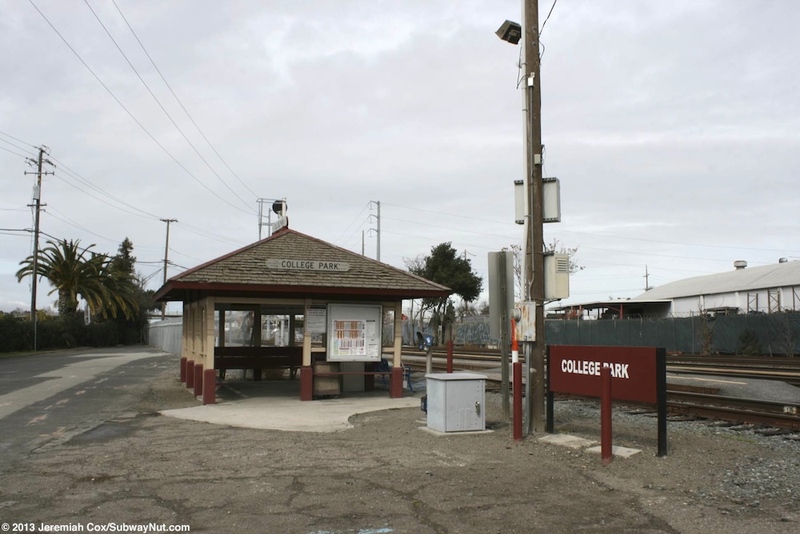 The station consist of a historic wooden waiting shelter with a gabled roof held up by a number of white columns and red benches along two of the outside walls. 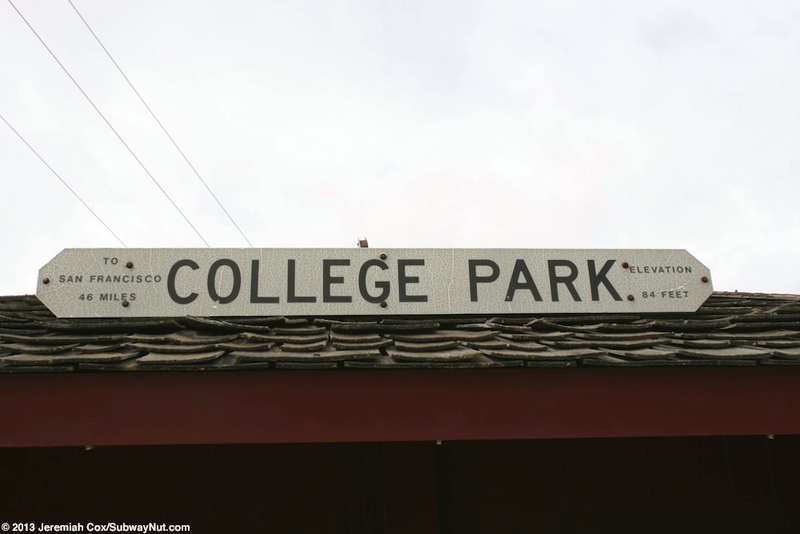 The tops of the roof have white College Park signs with To San Francisco 46 miles and elevation 84 Feet on each side of the name. 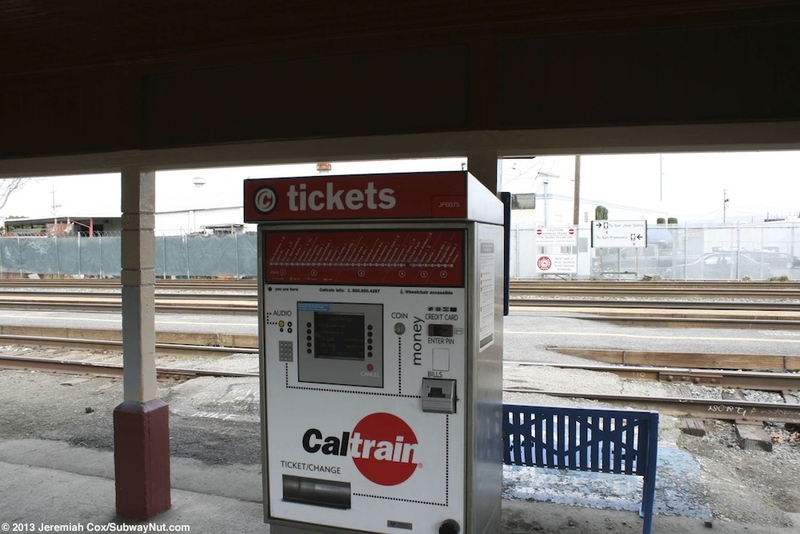 There is one TVM and one Clipper Card Tap Reader. 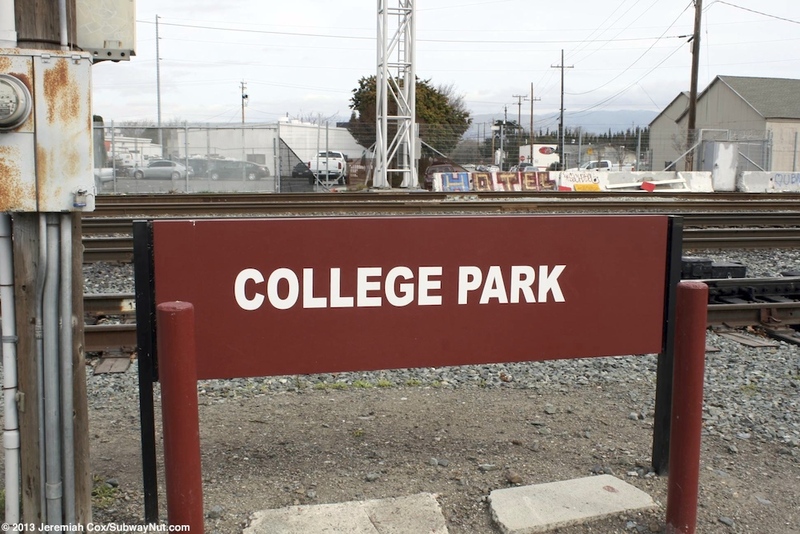 Just outside the shelter is a simple with all caps text red College Park sign visible from the street with the entrance from Stockton Street (that runs north-south and was an oddly angled grade crossing, just north of the station) where all traffic must now veer west down Emory Street. 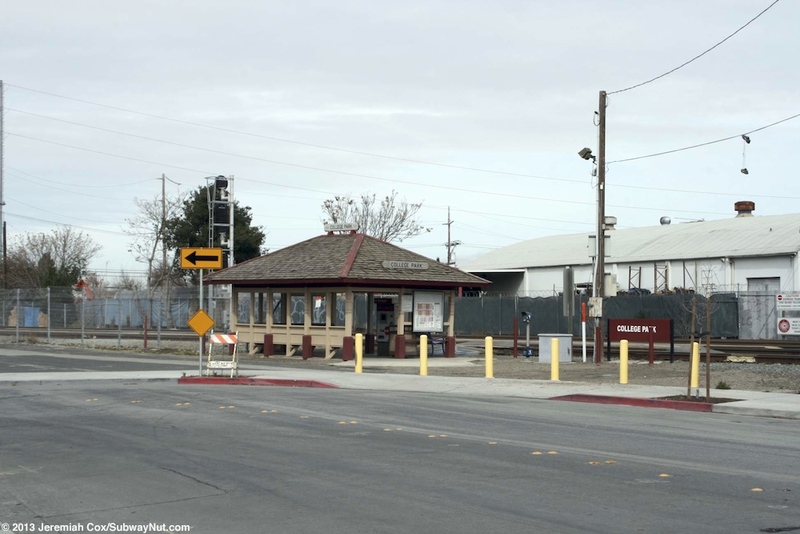 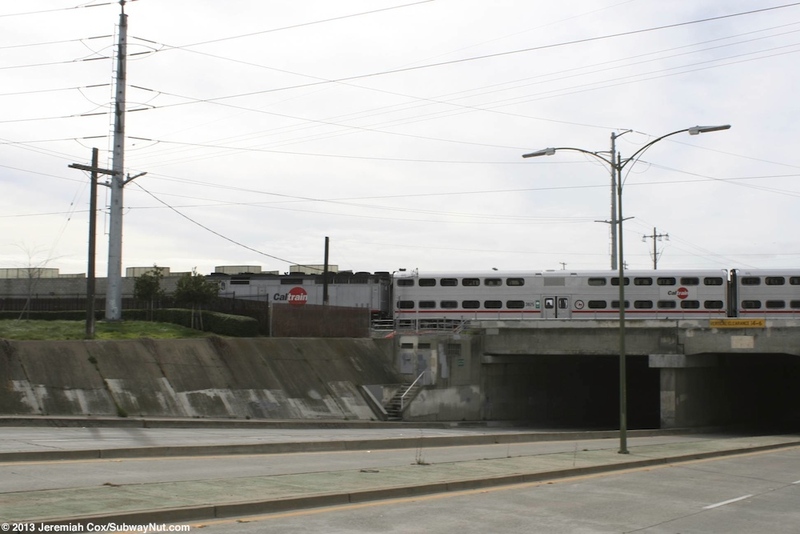 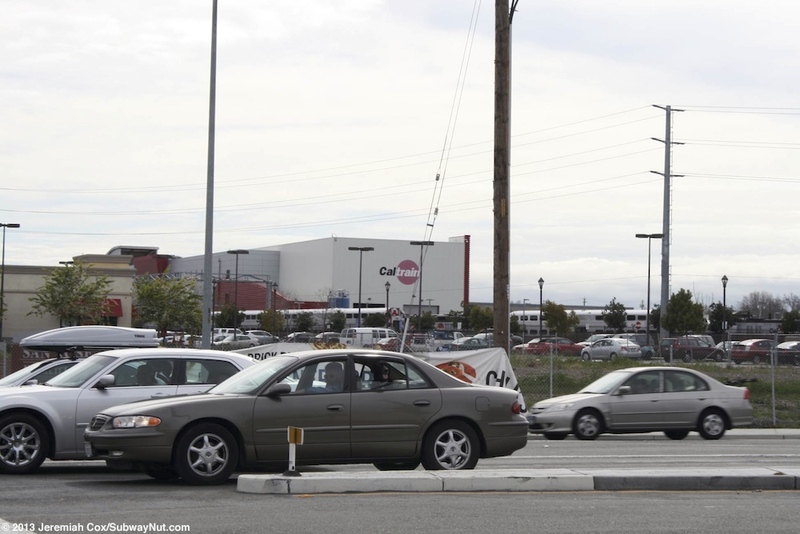 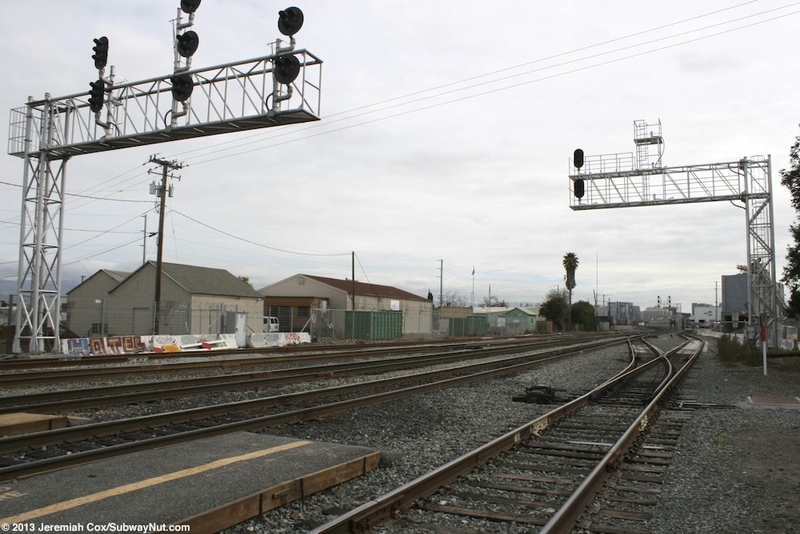 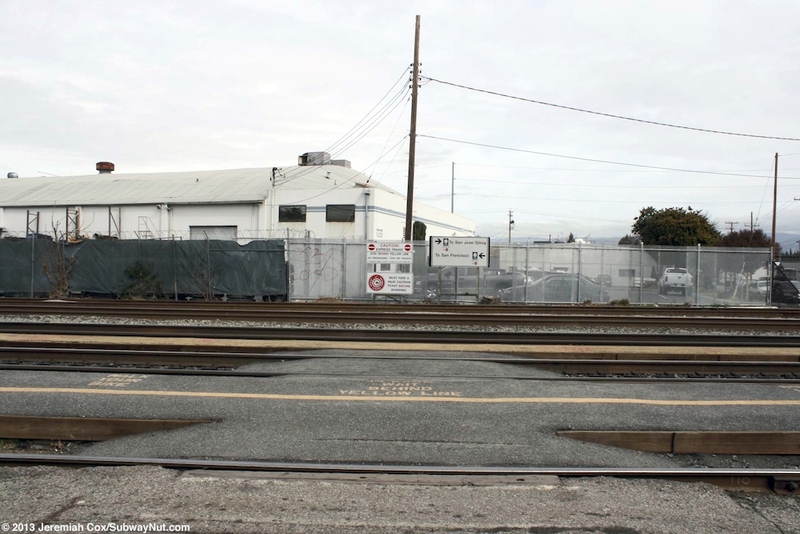 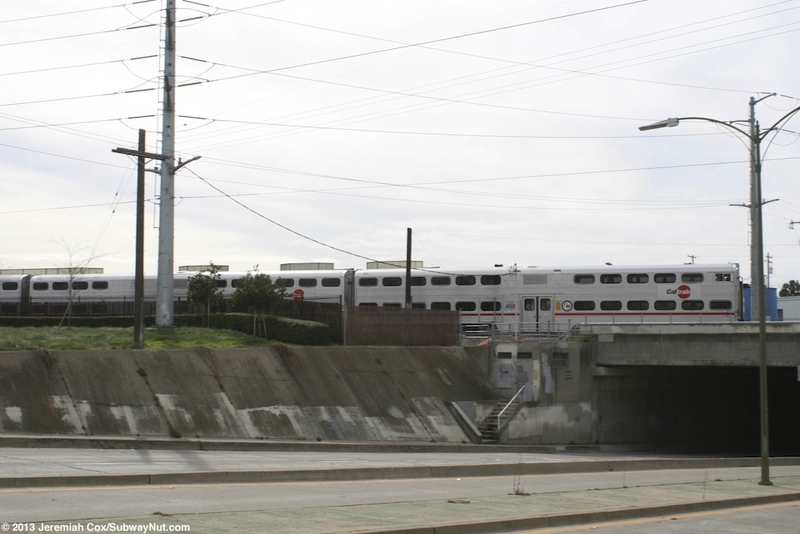 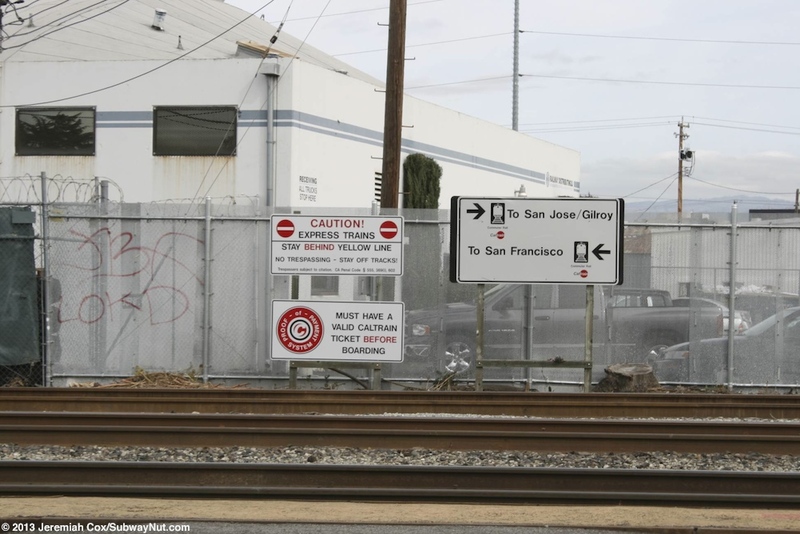 To reach the trains is a grade crossing across a siding track that is a yard lead into Caltrain's main maintenance facility just south of the station. 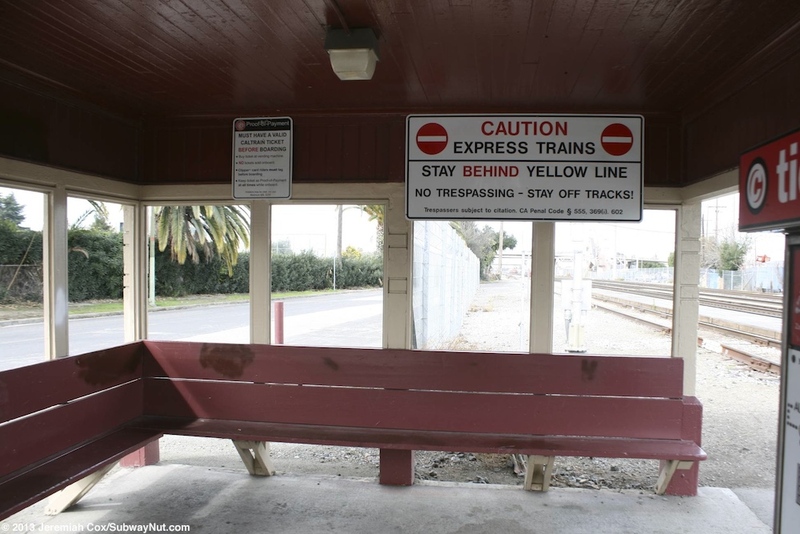 Next is a narrow old platform with a yellow line (used by southbound trains) and a concrete level-crossing that leads out to a boarding platform painted 'don't wait here' yellow out to the next track (used by northbound trains). 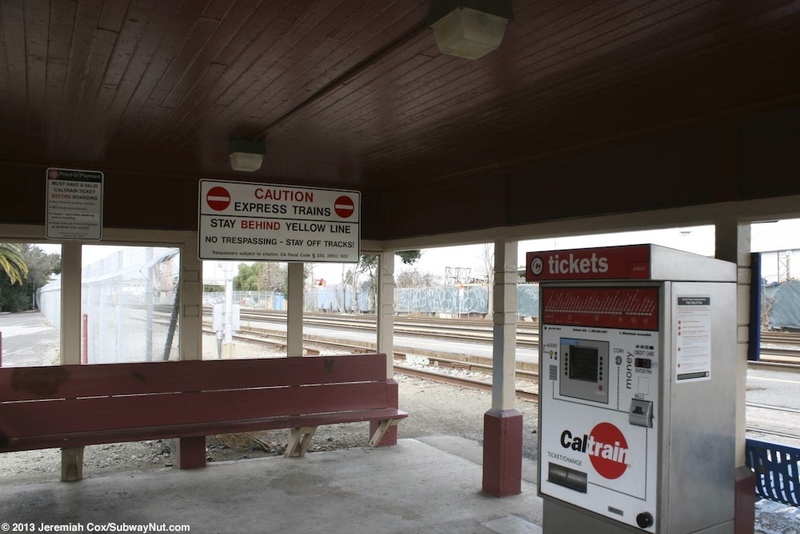 This makes the station a hold out station and not ADA compliant.